You are currently browsing the tag archive for the ‘De La Soul’ tag. 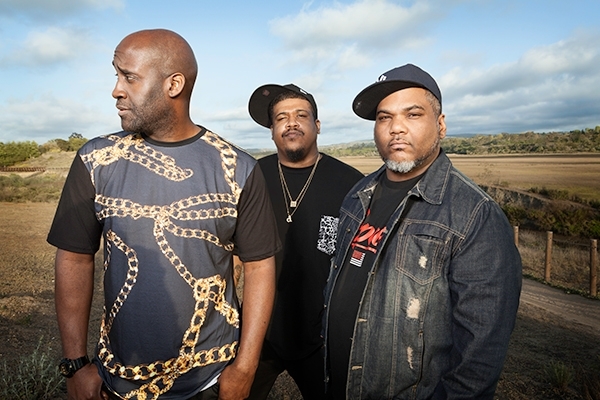 Later on today expect the internet to crash because in honor of next month’s 25th anniversary of their debut album 3 Feet High and Rising, De La Soul are making their entire catalog available for free download for 25 hours on their website. World-traveled and well-known drummer/producer Daru Jones is back at it with his third sampler, “Spirit & Soul-Hop” — Featuring songs produced by Daru himself, and remixes of songs recorded by local and international artists such as Muhsinah, Rena, Kissey Asplund, Eagle Nebula, and more. For more than a decade, Daru has worked as a professional drummer and producer in many genres, alongside artists such as Talib Kweli, Black Milk, Bilal, Slum Village, J-Live, and Kim Burrell, to name a few.